We’ve all done it. Trains from Charlton not running or you’ve just missed it. Need to get to the Jubilee Line. Let down by the 161 bus, or can’t rely on the 486. What do we do? We stand outside The Antigallican and wait for three different buses to grab whichever one comes first. The swift jog eastwards towards the 161 stop. The shuffle back as you see the 486 finally coming down the hill. The side step and shimmy as you negotiate five lanes of traffic as you realise that 161 is actually a 472. Before you know you it you’re jigging, you’re boogying, you’ve got more moves than Lionel Blair! 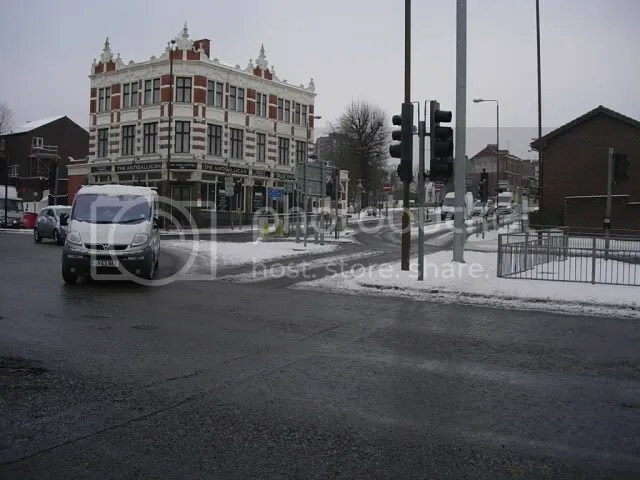 Behold – an answer to the ‘dance of death’ across a busy junction. The Charlton Rail Users’ Group met last month and has proposed a solution. The 161 and the 472 could be made to turn into Charlton Church Lane. They’ll then do an immediate U-turn (using the bus lane), bringing them back round to the 486 stop outside the southern entrance to the railway station. One bus stop will serve all three buses to North Greenwich Tube Station. What do you think? If anyone has any other ideas or views or anything about Charlton station in general, let us know. On the surface of it, it seems like a really good idea. But will TFL really go to the trouble of helping a relatively small amount of people have more frequent buses to North Greenwich? At the meeting we had at the end of the summer it seemed pretty positive though. We had a TFL representative there and from his language it seemed like it would be perfectly feasible to initiate this. We’ll keep you updated though. When I saw the title I thought it was going to be about the state of the station’s platforms last week when they were not gritted in the slightest. Another failure from our lovely rail company. The idea of the bus circling would be excellent as most of us experienced that run last week when trying to grab some form of transport to work. and on another note I took a picture of the mess on Charlton’s platforms this morning. The litter is really bad at the moment, a good few days worth laying around the platforms. Any update on that from the rail users group? We’ll let you know how it goes. I think the meeting has been postponed for the time being at least. Must be a difficult period at the moment for them. If the O2 follows through with its backing towards its scheme, then I can’t see why TfL would want to refuse extra revenue. Thanks very much indeed for the link. Must admit, it raises my hopes somewhat. I remember the original bus service between the Dome and Charlton Station!